Join us as we welcome Mark Blakeman to our Business@Lunch. 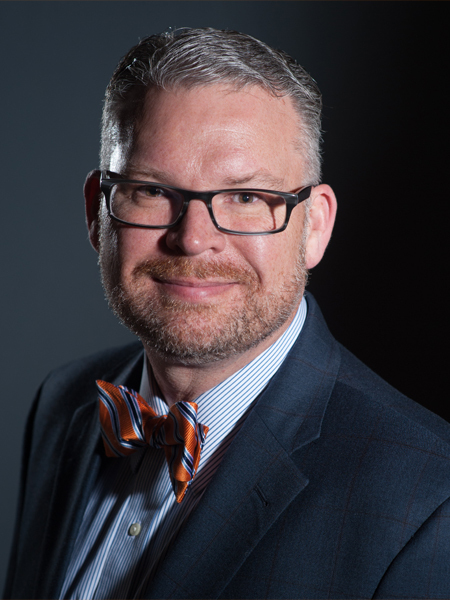 Mark A. Blakeman was announced as the inaugural Marilynn and Carl Thoma Executive Director of The McKnight Center for the Performing Arts at Oklahoma State University in March 2017. He brings to the position vast knowledge and direct experience overseeing large-scale construction projects, building programs and raising philanthropic support. He will work with the McKnight Foundation Board of Trustees and provide strategic direction and oversight to The McKnight Center. His scope of responsibility will include branding and institutional visibility, revenue enhancement, operational and strategic planning, outreach and education, governance and financial management. One of his first tasks is to schedule the inaugural season and grand opening of The McKnight Center, which he will give details on at this month's luncheon. Blakeman will also give attendees a chance to win two New York Philharmonic performance tickets for next year's opening season. Don't miss out on this opportunity! Business@Lunch is a business educational program presented by corporate leaders covering topics and issues relevant to business owners. Business@Lunch allows you to make connections with other Chamber Partners and leaders in the community while gaining valuable education to assist you in your business.